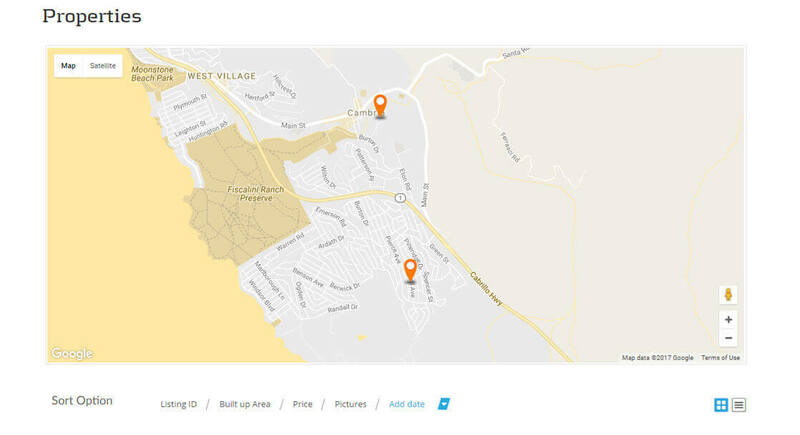 Small brokerage real estate website where husband and wife team are both the brokers and the agents, serving a small California coastal village. Must haves included property management, market history management and vacation rentals management. Additional information such as relocation information, buyers and sellers downloadable information sheets and blog were included to flesh out the site. Integrated color matched Google mapping; maps auto added to property listings, vacation rental listings and market history listings. 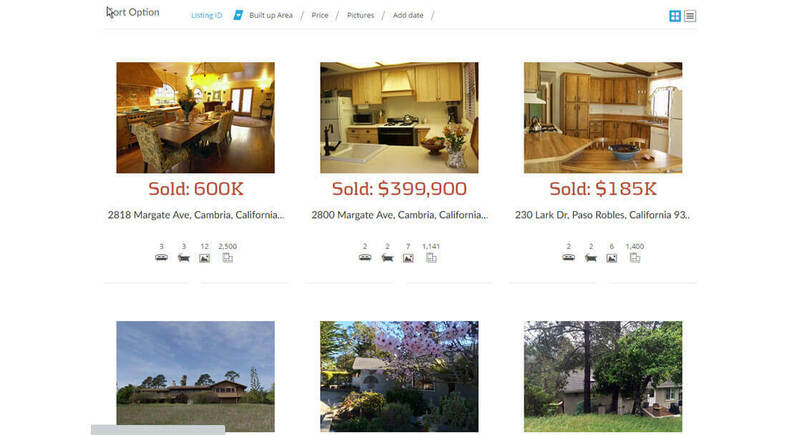 Property display includes admin/user configurable listings display, including a wide variety of sorting options. Depicted here are line listings of sold properties. Depicting grid layout of sold properties. 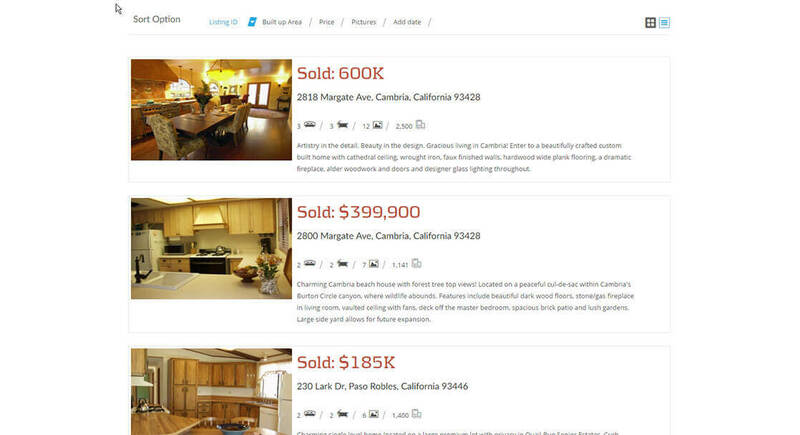 Users are optionally (admin controlled) presented with a variety of tools to manage the display of listings that suit their browsing preferences. Flash is a twenty year veteran of the internet; married to Jan for over thirty years, blessed with two fine boys Zac and Max.